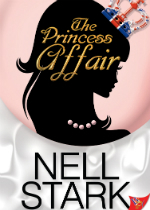 The Princess Affair (Bold Strokes Books)–the title sounds like a lighthearted romp through an adorable love story, but it’s nothing of the sort. This story is so much more. Rhodes Scholar Kerry Donovan, who hails from America, meets Princess Alexandra Victoria Jane, known to her friends as Sasha. Sasha is a member of the fictitious British Royal family. She’s second in line for the throne, a bit of a wild child, and deeply ensconced in a suite of closets. Although Sasha is known for her clubbing and drinking with “the beautiful people,” and she is mostly seen in the company of men who are movie stars, and athletes, it’s all a front because Sasha prefers women. She’s never had a really serious relationship with anyone, preferring to keep her women coming through an ever-revolving door and holding them at a distance. Then, in an unlikely alignment of circumstances, Kerry Donovan happens–and the Princess’ world is never the same. Neither is Kerry’s. The attraction is explosive from the start–and then the story takes a turn into other deeply meaningful topics. We learn that Kerry is a serious scholar who is blindsided by her feelings for her unlikely lover, but it is her compassion and selflessness in understanding the pressure that Sasha is under, both as a member of the Royals, and because of the princess’ personal issues that make Kerry truly special. The unfolding story lets us see Sasha for who she really is, and we find that she’s wrongly maligned as the buffoon of the family, as one who is not fit to rule, should something happen to her elder brother. Sasha has taken the media and her father’s criticisms to heart and it seems that all of Sasha’s perceived faults are set to become self-fulfilling prophecies, unless her relationship with Kerry is able to redeem her. However, it’s unlikely that a “common” American on a scholarship at Oxford can do anything to help Sasha when tragedy strikes the Royal family. A bad situation becomes worse when the paparazzi expose Sasha’s relationship with an unidentified person. Filled with characters that are genuinely believable, in circumstances that seem plausible, the story takes the reader on a journey where honesty, integrity, and the things that matter in life are the lessons to be learned. When Kerry is exposed as someone who might be involved with the Princess, a firestorm begins and forces both women to face reality and make decisions in the best interest of the other. However, if the timing isn’t right and the stars do not align giving them the strength they need, two people who are meant to be together may lose each other. Taking up issues such as privacy rights and public figures, unrealistic parental expectations, learning disabilities, and coming out, Stark has given us a plethora of thoughtful topical issues. 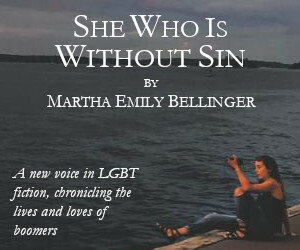 In this well written story, the reader will find more than the lighthearted, cute love story that the title may imply. The Princess Affair speaks to social issues of concern to all mindful readers. This is a love story evoking intense emotion. The relationship between Kerry and Sasha is deeply moving. The problems that arise from the paparazzi and a public clamoring for sensationalism are at once irritating and revolting, and seem very dangerous and real. Most of the problems have at their root the fact that the Princess feels the need to hide in order to prevent repercussions to her family and her own life. In addition, descriptions of the English and Irish countryside are beautifully drawn, transporting the reader to the locations visited by the characters, making it possible to experience the settings from their point of view. 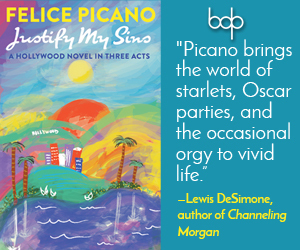 This tale addresses important issues while couched in a beautifully entertaining and endearing love story—one not to be missed.